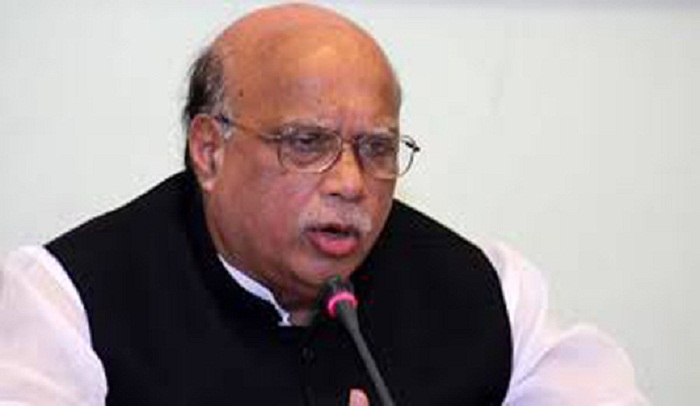 Awami League (AL) Presidium Member and 14-party alliance spokesperson Mohammed Nasim on Tuesday said the components of the alliance will play the role of opposition in the parliament although they are not officially opposition party. “Components of the 14-party alliance will criticise the government’s mistakes in the House. They will take part in constructive discussions,” he said. Nasim came up with the remarks at a mourning assembly commemorating Syed Ashraful Islam at Bangladesh Medical Association (BMA) auditorium in the capital. Both the government and the opposition should be pro-liberation forces, the AL leader said, adding that the leaders of the 14-party alliance would play the role of opposition to this end.